Albert Einstein said: We are using only 10% of our mental potential. DIANETICS tells you how you can free a significantly larger part of your potential. Self confidence, harmonic relationships and a positive attitude towards life can absolutely be achieved. It makes Positive Thinking a reality. You can achieve your goals with more certainty if you are able to find the cause of upsets, unwanted reactions or emotions. The human mind is not a mysterious puzzle - impossible to resolve. Read and work with Dianetics, see how it works for you and make up your own mind. The book gives a clear description of what is happening in the mind and explains a practical method, enabling you to explore your own subconscious, and rid yourself of what holds you down, resulting in increased IQ and well-being. 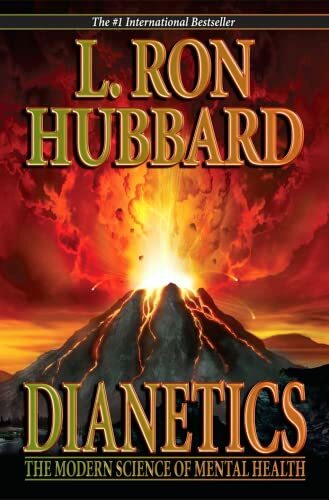 Watching the DVD called 'How to Use Dianetics' along with the book is recommended to have a visual illustration of the concepts and the practical application.